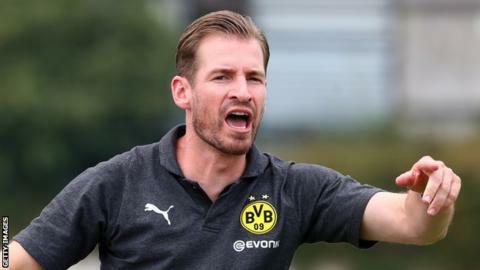 Struggling Premier League side, Huddersfield Town, have appointed German coach, Jan Siewert, their new manager. Huddersfield made the announcement on their official website on Monday. Siewert takes over from David Wagner who parted company with Huddersfield following strings of poor results which has kept them bottom of the league. “Huddersfield Town is delighted to announce the appointment of Jan Siewert as its new Head Coach,” the club said in a statement on their website. Speaking on Siewert’s appointment, Huddersfield Town Chairman Dean Hoyle said:“I’d like to begin by officially welcoming Jan to Huddersfield Town. I’m tremendously excited about working with him as our new Head Coach.